FC Barcelona and Wilfrid Jaures Kaptoum have reached an agreement to terminate the contractual relationship between them. The club thanks the player for his professionalism in his time here and wishes him every sporting and personal success in the future. 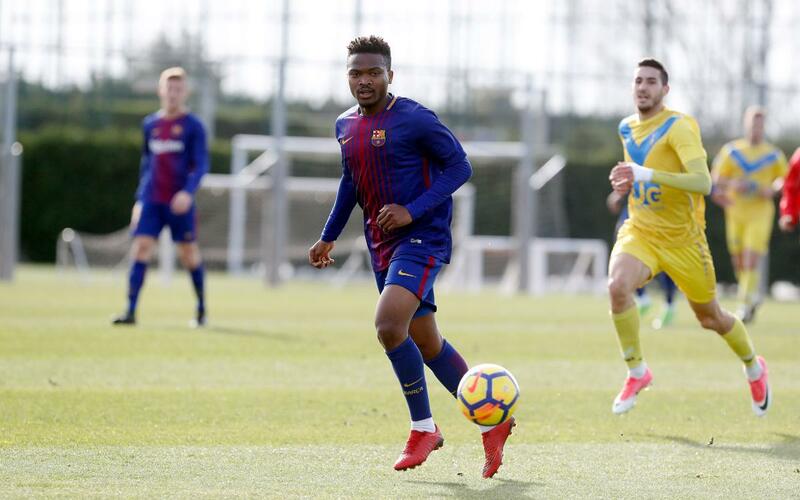 The Cameroonian, who joined FCB from the Samuel Eto'o Academy in his native country, rose up the ranks, winning the UEFA Youth League en route to earning a place in the Barça B team, for whom he has played 44 games and scored six goals. He also made a couple of first team appearances under Luis Enrique in the Copa del Rey, and scored a goal at Mestalla in the 2016 semi-final against Valencia.